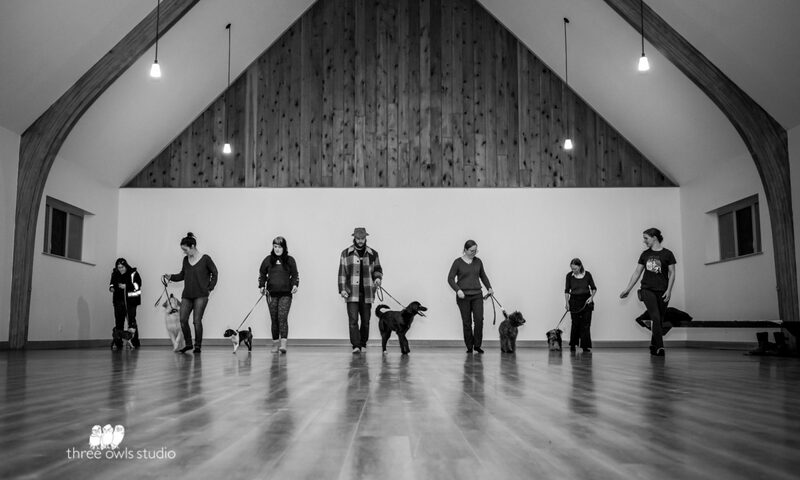 Paw and Order Dog Training and Behaviour is owned and operated by Nicole Courson CDBC KPA-CTP, in beautiful Nelson, BC, and the surrounding area. Nicole’s primary background and most significant experience is in working with dogs with aggression and reactivity towards people, dogs, or other animals, but she has a breadth of experience working with basic obedience and skills training as well as a wide range of problem behaviours. Using proven science-based methodology and a combination of classical and operant conditioning focused in positive reinforcement, Nicole coaches owners and teaches dogs how to better manage their stressors and behave appropriately – after all, we get dogs because we want a companion who will enrich our lives, just as we do theirs. Nicole follows the LIMA principle, striving to always find the least invasive and minimally aversive way to teach our dogs what we want from them. A Certified Dog Behavior Consultant through the International Association of Animal Behavior Consultants (IAABC), Nicole has demonstrated theoretical and practical understandings of animal behavior modification principles and practices. With a foundation in positive reinforcement and marker (clicker) training from the Karen Pryor Academy and a breadth of experience in different forms of teaching both animals and humans, Nicole knows the best approach is to teach our dogs not just “don’t do that”, but “do this instead” so that life for both you and your dog will be considerably more fun, relaxing, and enjoyable for you and those around you. Whether you have major problems to address or you just want to have a dog that doesn’t jump all over house guests, Paw and Order can get you there! Over a lifetime of living with them and enjoying their company Nicole had always made friends with canines, forming bonds readily from well before the first trip to an obedience class with a childhood dog. Dog-sitting and dog walking followed along with voracious reading about our canine companions, from heart warming true stories to scientific discoveries along with the ideals of becoming a veterinarian that many pet-loving children consider. Volunteering followed, including over a year with shelter and rescue dogs that required some form of behaviour training to be suitable for adoption. There was even a season of learning to care for and run a team of sled dogs. Through one particularly reactive shelter dog that came into her care Nicole met Sarah Dixon, CDBC, who provided mentorship and additional opportunities in dog behaviour training. Nicole’s interest in the science of behaviour and it’s application in improving the well being of dogs and their families became her primary focus, and still is today as she continues to pursue further education from workshops and seminars to long and short form courses. Nicole is a certified dog behaviour consultant with significant background experience in aggression and anxiety based problem behaviours, but also enjoys teaching puppy and adolescent manners, group classes, and specialty cases of all kinds. She lives in Nelson, BC, and trains dogs in the surrounding area.